Gorgeous! Purely Perfect. Everything you want and need for a stunning Desert Home all wrapped up in one Package. Furnished Pool spa home with three master suites! Golf Cart Included – garage has a golf cart bay. Stellar views in three directions. Everything is included and upgraded in this 2016 newer home. Custom tile flooring in all living areas, Granite counters in all baths, upgraded lighting, fireplace, ceiling fans, fire pit window treatments, rounded corners on walls full size Laundry room with cabinets and sink, tankless water system fully landscaped. Located in the ARROYOS section of Desert Princess CC where you own the land. Enjoy all the amenities of the country club with no membership requirements/costs. Wait till you see all you get for the HOA fee. 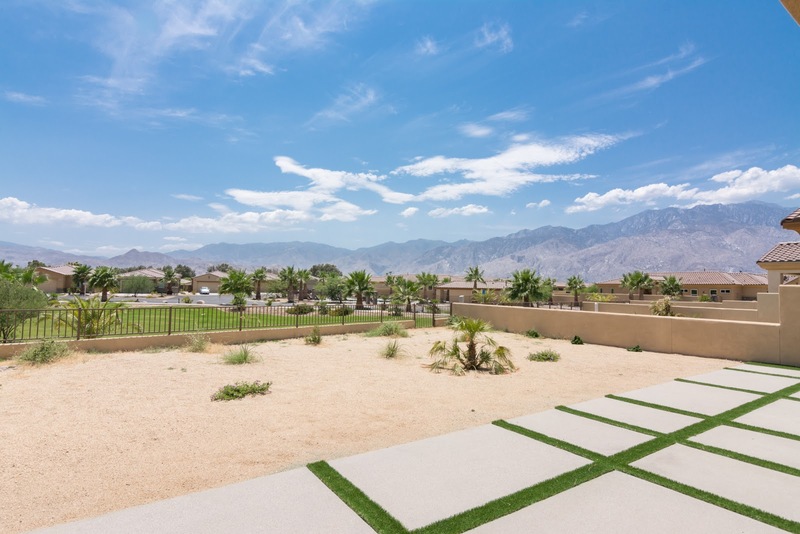 Hurry to check out the Ultimate Desert retreat its the total package. This is it. A great fixer opportunity in a great area. Right next to Rancho Mirage. This home has had some updates from HVAC to a roof to new windows some appliances replaced. There is block wall all around the property. potential abounds. Add a pool or a garage perhaps? 3 Bed 2 bath property with a standard floor plan. NO HOA fees and you own the land. This house is a fixer so we recommend a 203K rehab loan product to help you purchase it. Cash offers accepted. Home is on septic system.